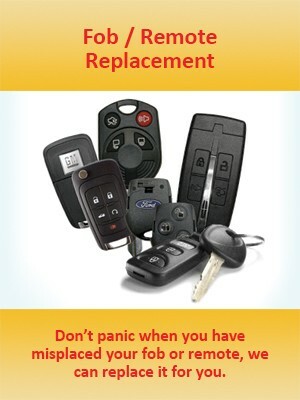 We do NOT do emergency lock out service or replace keys at your location. 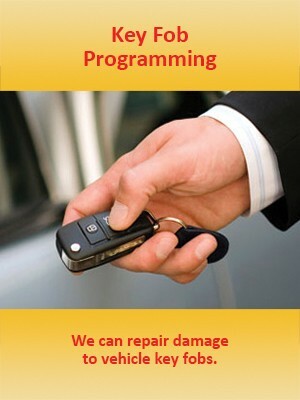 We make duplicates of your existing keys. We also sell batteries for your car fobs. 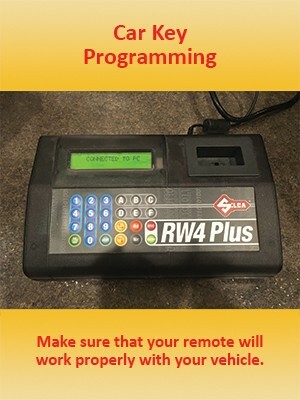 Bee Safe & Lock Inc. cut and program automotive remotes and car key fobs sold by us. 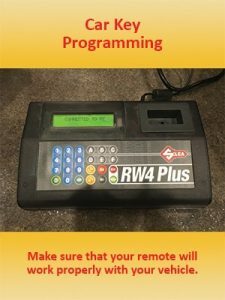 Depending on the problem we can repair your existing fob or program a new remote to work with your vehicle. Call us today for car lock and fob services. If you do not see your vehicle listed, please contact us with your make, model and year and we will let you know if we can make you a fob or key.